The pleasure of a gentle bath & shower gel with relaxing benefits. Enriched with soothing organic aloe vera, orange blossom, and almond extracts, this shower gel gently cleanses and makes one feel relaxed. Results: The skin is gently cleansed and delicately perfumed. Explore the entire range of Shower Gels & Body Wash available on Nykaa. 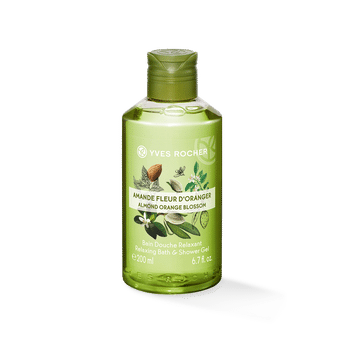 Shop more Yves Rocher products here.You can browse through the complete world of Yves Rocher Shower Gels & Body Wash .